L'associazione della critica cinematografica del sud-est degli Usa ha decretato Scappa - Get Out il miglior film dell'anno, vincitore anche del riconoscimento alla sceneggiatura originale. Ma non mancano i premi anche per The Shape of Water. Il film scritto e diretto da Guillermo del Toro si accaparra i premi come miglior regia e miglior attrice protagonista a Sally Hawkins, mentre il miglior attore è Gary Oldman, indimenticabile Winston Churchill per L'ora più buia. Miglior cast e attore non protagonista a Sam Rockwell e il film Tre manifesti a Ebbing, Missouri. Attrice non protagonista l'inossidabile Laurie Metcalf per Lady Bird, ormai favorita della vigilia anche agli Academy Awards. Runner-up: "The Shape Of Water"
Best actor: Gary Oldman, "Darkest Hour"
Runner-up: James Franco, "The Disaster Artist"
Best actress: Sally Hawkins, "The Shape of Water"
Runner-up: Frances McDormand, "Three Billboards Outside Ebbing, Missouri"
Best supporting actor: Sam Rockwell, "Three Billboards Outside Ebbing, Missouri"
Runner-up: Willem Dafoe, "The Florida Project"
Best supporting actress: Laurie Metcalf, "Lady Bird"
Runner-up: Allison Janney, "I, Tonya"
Best ensemble: "Three Billboards Outside Ebbing, Missouri"
Best director: Guillermo Del Toro, "The Shape of Water"
Best original screenplay: Jordan Peele, for "Get Out"
Runner-up: Greta Gerwig, for "Lady Bird"
Best adapted screenplay: James Ivory, for "Call Me By My Name"
Runner-up: Dee Rees and Virgil Williams, for "Mudbound"
Best foreign-language film: "First They Killed My Father"
Best cinematography: Hoyte Van Hoytema, for "Dunkirk"
Runner-Up: Roger Deakins, for "Blade Runner"
The Gene Wyatt Award: "Mudbound"
SEFCA Top 10 of 20171. "Get Out"
2. 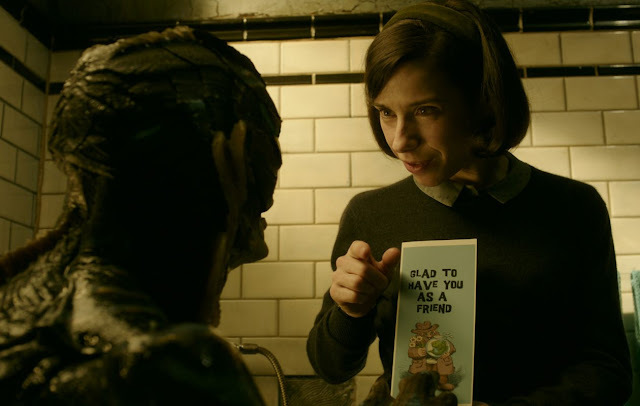 "The Shape Of Water"
5. "Three Billboards Outside Ebbing, Missouri"
8. "Call Me By Your Name"